Returned or dishonored checks result when you write a check your bank cannot honor because you don't have the necessary funds in your account to cover the check amount. 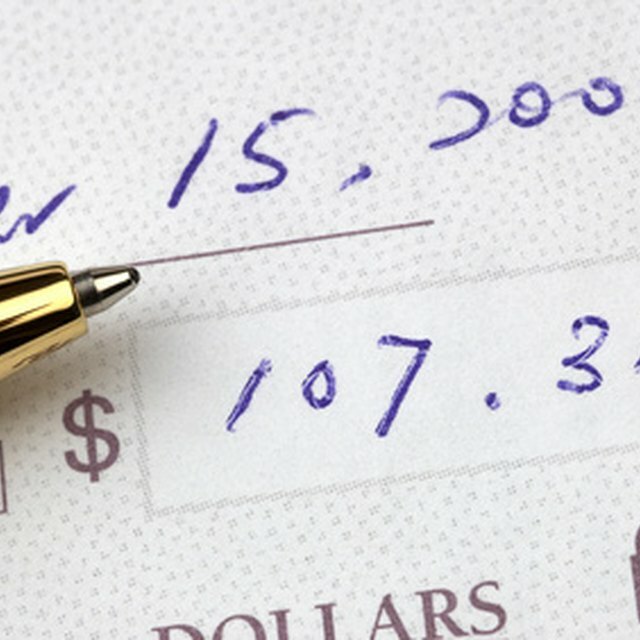 This practice, also commonly known as bouncing a check, can have multiple consequences each time it happens. Each time your bank or credit union denies payment on a check you have written, it will charge your checking account a returned-item fee or non-sufficient funds fee. This fee can range from $20 to $30 or more, according to the Federal Reserve Board. Your bank or credit union determines the exact amount of the returned-item fee for dishonored checks. In addition to bank fees, the payee on the check may also charge you a fee for a returned check. This fee is determined by the vendor and may total $30 or more, according to the Federal Reserve Board. In addition to paying the returned-check fee to the merchant, you are also responsible for paying the merchant the full amount of the dishonored check. If this happens on a recurring basis, merchants or vendors may require you to pay your bills with a money order or electronic-payment debit. The easiest way to avoid a returned check is to balance your checking account monthly and keep your check register up to date. That should include debits for ATM withdrawals and recurring monthly electronic payments. Do not write checks for more than you have in your bank account at any time. Your bank may offer an overdraft-protection plan, which allows your bank to honor checks written, even if you do not have the full amount in your account. However, your bank may also still charge returned-item fees each time this occurs, according to the Federal Reserve Board. Other solutions to avoid returned checks include linking a savings account or bank-issued credit card to your checking account to cover any deficit that might occur if you miscalculate your checking-account balance. Another option is applying for an overdraft credit line with your bank, which functions as a loan. You end up paying interest on the overdrawn amount, but your bank will not charge you any returned item fees.